Volvo Korea launched its new crossover V60 in Korea on Tuesday as its first market in Asia, with the aim of continuing its popularity along with its best-selling XC60. Amid increasing demand for SUVs, Volvo Korea said its new V60 Cross Country -- which combines the comfort of driving a sedan and the driving performance of an SUV -- was built based on the module platform called Scalable Product Architecture. The second-generation Cross Country V60 is now 74 millimeters higher to offer a wider view when driving. The raised car body also protects the vehicle frame on steep or unstable road conditions, the company said. Under the concept of Swedish minimalism, the V60 has been upgraded with a larger interior, inspired by Scandinavian designs. It comes with a wooden dashboard, a center display, Nappa leather seats and speakers from British brand Bowers & Wilkins. Its rear trunk offers up to 1,441 liters of space, and the model is equipped with a hands-free automatic tailgate system for both trims. The V60 runs on a powertrain of a turbocharged 2.0-liter four-cylinder, tuned to deliver 250 horsepower at 5,500 rpm 35.7 kilogram-force meters of torque over a broad band that stretches from 1,800 to 4,800 rpm. 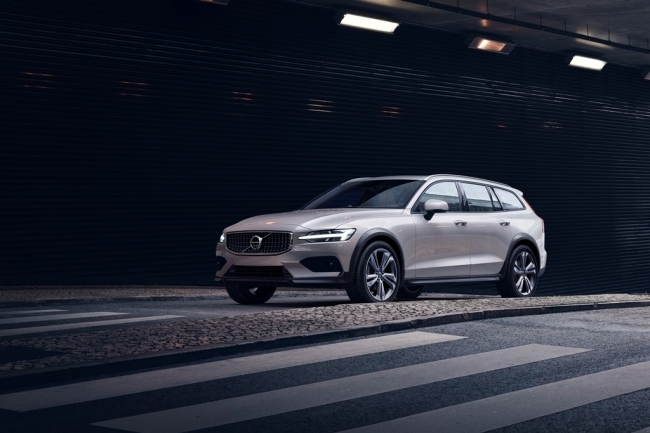 Both the V60 T5 AWD model and AWD PRO models are equipped with a city safety guide, a pilot assist program, a run-off-road mitigation system, an oncoming lane mitigation program and blind spot information system. Prices begin from 52.8 million won ($46,903) including VAT.